Wondering how you could use our bronze urns as your wedding centrepieces? Well, Gayle of GDC Weddings & Events has created two different wedding setups which both use bronze urns as centrepieces. 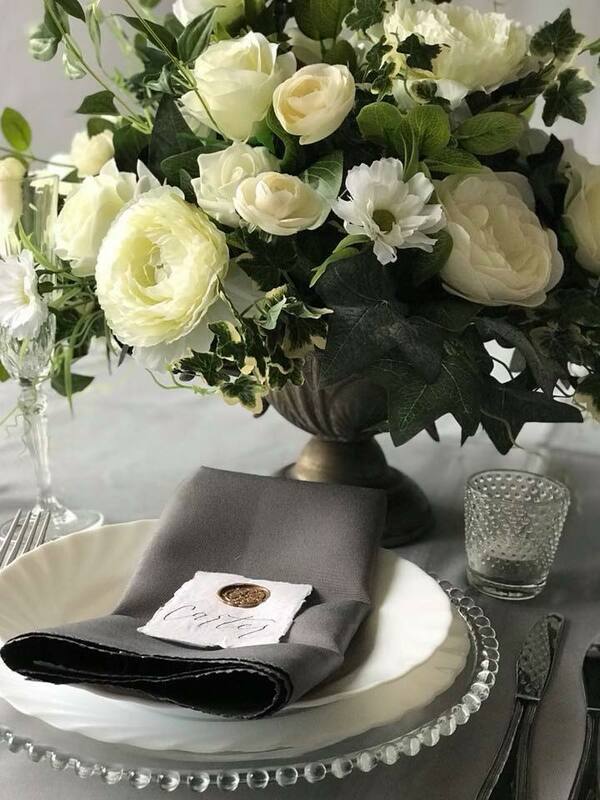 Gayle has used the bronze urn in the centre of the table, the urn has a beautiful mix of cream and white roses with loose foliage for texture. 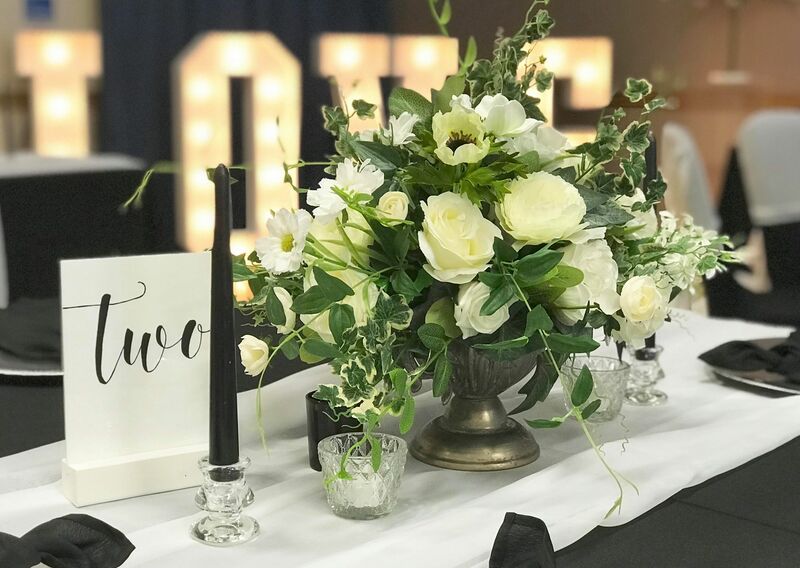 She teamed up the bronze urn with pressed glass tea light holders and candlestick holders, to tie in with the monochrome table numbers and complete the look she chose black tapered candles. We think this looks pretty great, don’t you? For this look rather than black try using dark grey, this has a warmer look and feel to it. I just love the coloured napkins. Again using the same bronze centrpeice but instead of the pressed glass opt for dimpled glass and gold accents. This look oozes glamour but remains rustic as the colours and place cards are a little rough around the edges. The place cards are made from cotton paper and have been written by a calligrapher and sealed with a gold stamp. You could have a go at creating these yourself if you are into a bit of DIY bride… or opt for a stationer. Thank you so much to Gayle of GDC Weddings & Events for sharing her creations.